Urbach Roofing, Inc., Author at Urbach Roofing, Inc. When your roof needs repair or replacement, it is imperative that you find a qualified roofing contractor as quickly as possible. A leaky or damaged roof can let moisture to penetrate your home, give access to pests, and cause other structural problems that are often not seen until the damage is significant. Given how much depends on a professional repair or replacement, this is no place to cut corners or look for bargains. 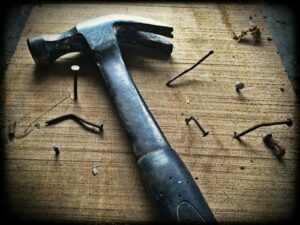 A Handyman in some cases can be much cheaper, but at what cost to potential damages that may occur with someone who isn’t fully experienced in roofing. 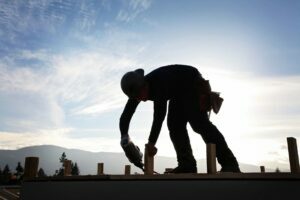 Here are some questions that every homeowner should ask a prospective roofing contractor before signing a contract or allowing them to begin work. Do you have a physical office address? We would all like to believe that every contractor is operating honestly and in good faith. But you want to make sure that the firm you hire is established and reputable, and not a fly-by-night contractor who may disappear if things go badly. Are you licensed and insured in the state of California? A roofing professional is required to have a California Contractors license to work on your home or business. They are also required to carry insurance. You should look for both workman’s’ compensation insurance and general liability insurance. Don’t take your roofer’s word for it though – ask to see their business license and insurance certificates. A reputable firm will have no problem providing their documentation. Will you subcontract my job out? 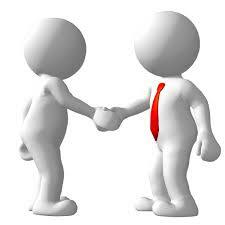 Ideally, the company you hire will be the company who arrives on site. 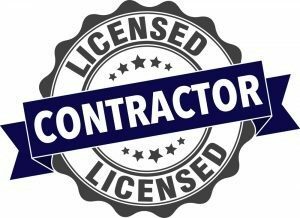 However, if subcontractors will be used to complete the job in whole or in part, ask for the same license and insurance documentation as the primary vendor. Although the privacy of the customer should always be respected, a reputable roofing company will have references from local residential and commercial clients and will most likely provide a name of someone you can speak with personally upon request. Most companies will warranty their work for a certain period, and the manufacturer will warranty the roofing product utilized. 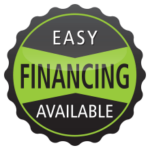 Ask about the details of both material and labor warranties. Will you provide a written estimate including all aspects of the job? Make sure that the details of the job are clearly outlined, as well as the cost in order to avoid misunderstandings or disagreements regarding the scope of work. Will you remove the old roof? When you are having a new roof installed, some contractors may shingle over the top of the old roof. However, by doing so they cannot establish if there is soft or rotting wood under the old shingles. Urbach Roofing always recommends removing the old roof! The money you save in the short term is never worth it if you have serious long-term issues that are not addressed. 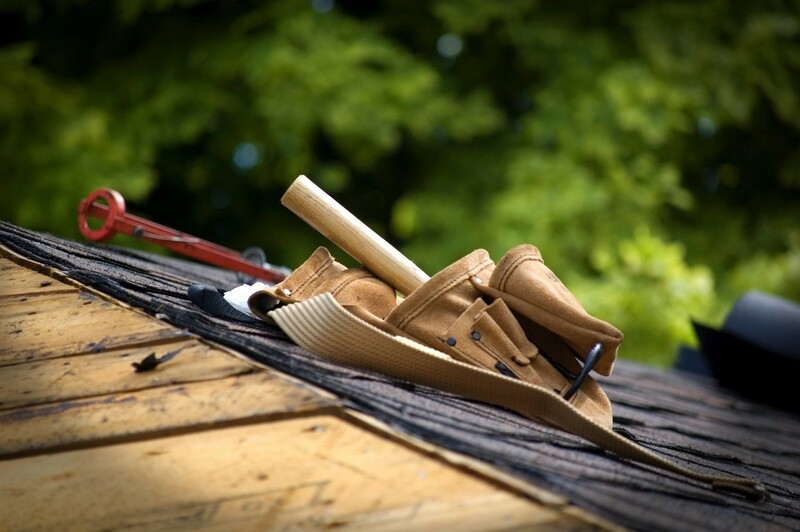 When installing a new roof, have your roofing contractor remove the old one whenever possible. Ask your contractor how your property will be protected each evening (tarps in case of rain, for instance), as well as how trash will be collected and disposed of nightly. Keeping your property as neat and clean as possible should be the standard operating procedure for your contractor. Who can I call with questions during the project? Your roofing professional should clearly identify your go-to contact for any questions or concerns. Ideally, this person should be readily available by a phone call during your project. A quality roof is what keeps your family and your home protected year after year. When it comes time to repair or replace this most important component of your home or business, take the extra time to establish that you are working with a licensed and fully insured roofing contractor, with experience, local references, and quality assurance. The professionals at Urbach Roofing are proud of our reputation for quality and attention to detail, and we look forward to having the opportunity to work with you on your roofing project. 1. Inadequate or faulty base: A surface repair does not address problems that arise from damaged decking or improperly installed underlayment. For best results, roof shingles should be removed so that an examination of the deck and sheathing can be conducted. 2. 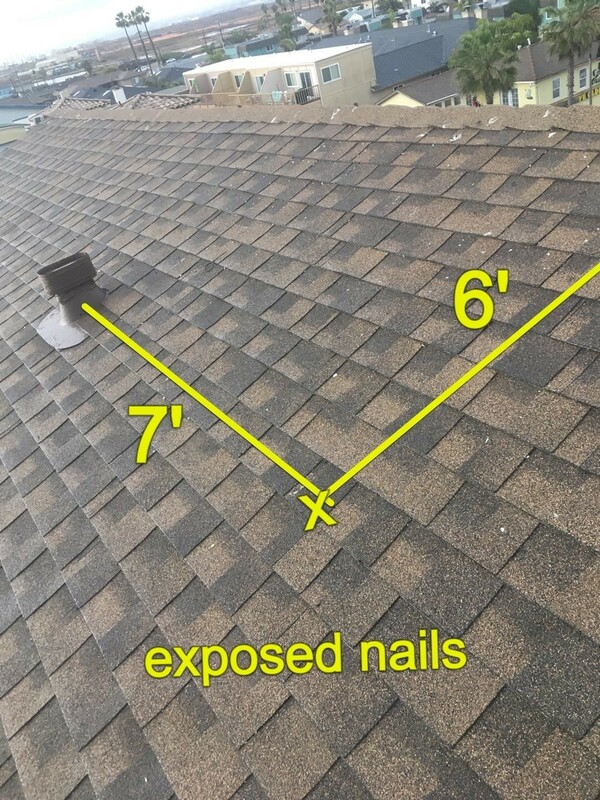 Incorrectly installed shingles: Proper alignment of shingles, especially the starter course, is critical for a successful repair job. Care should be taken to offset joints and to be sure shingles lay flat. Ignoring these considerations may lead to the development of leaks that are hard to detect until serious damage is done. 3. Improper or not enough fastening: A good repair job depends on decking, underlayment and shingles that are all properly attached. 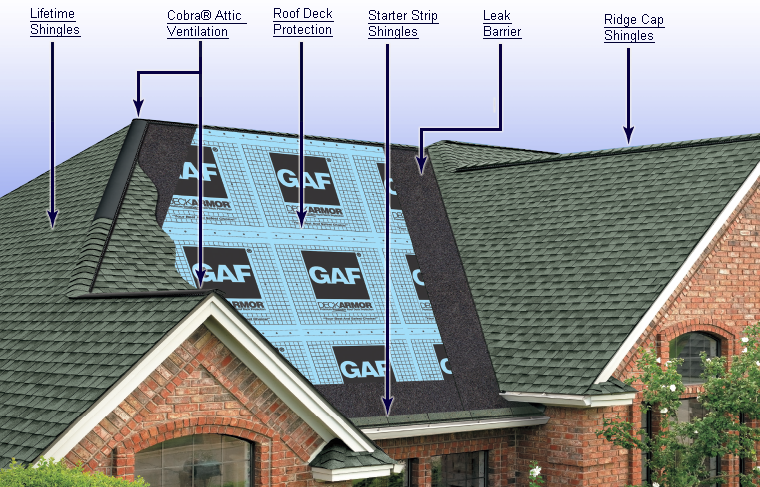 Inadequate fastening allows wind to raise shingles, moisture to work its way through the layers, and leaks to develop. 4. Poorly installed flashing: Flashing is needed to channel moisture away from critical areas. Adequate flashing in valleys and around chimneys, skylights, vents, and satellite dish installations keep these vulnerable areas from allowing water to penetrate the roof. 5. Ignoring manufacturers’ specifications: Failure to follow guidelines may void manufacturers’ warranties. Proper preparation and installation assures a quality repair job and maintains the warranty. Hiring a reputable, licensed roofing contractor like Urbach Roofing, Inc. is the best way for homeowners to avoid the pitfalls of a poor shingle roofing repair. With over 45 years of experience in roof repair and installation, we make sure the job is done right, with quality products and following industry-leading standards and manufacturer specifications. To schedule an appointment, call 760-471-5065, no repair is too small! Selecting a properly licensed, certified and high-quality roofing contractor is important and often a difficult task for consumers who are unfamiliar with the roofing industry. 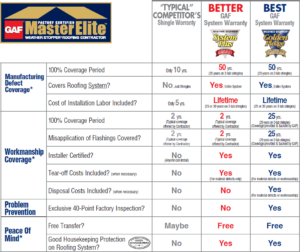 It is important to select certified roofers who will be in business to honor their warranty in the future. There are many roofing contractors who are not certified and have both low-quality installations and poor workmanship. The average start-up business is usually closed within three years and may be out of business when potential roofing problem could arise. All job specifications and prices should be supplied in writing. Established companies with strong financial stability usually only require the California maximum deposit of 10% or $1,000 whichever is less. Deposits are common but be wary of any contractor requesting more than the law permits. Research all potential contractors on the Better Business Bureau and your local Chamber of Commerce. Check for the overall business rating and keep in mind the general size of the company when checking for complaints. Does the company have a license to perform the contracted work, workers compensation insurance and liability insurance? This is important as an established company should have a Contractors License, workers compensation insurance and liability insurance. A strong established contractor should be a member of trade associations. Look for associations such as the San Diego Roofing Contractors Association, Western States Roofing Contractors Association, Certified Contractors Network, and National Roofing Contractors Association. 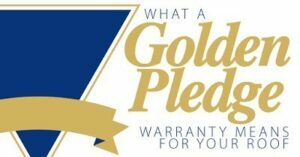 Look for a contractor who stands behind their work with a Workmanship Warranty. A contractor who offers a workmanship warranty will be able to address a serious problem quickly giving existing customers priority, should any problems arise. Never decide on price alone. 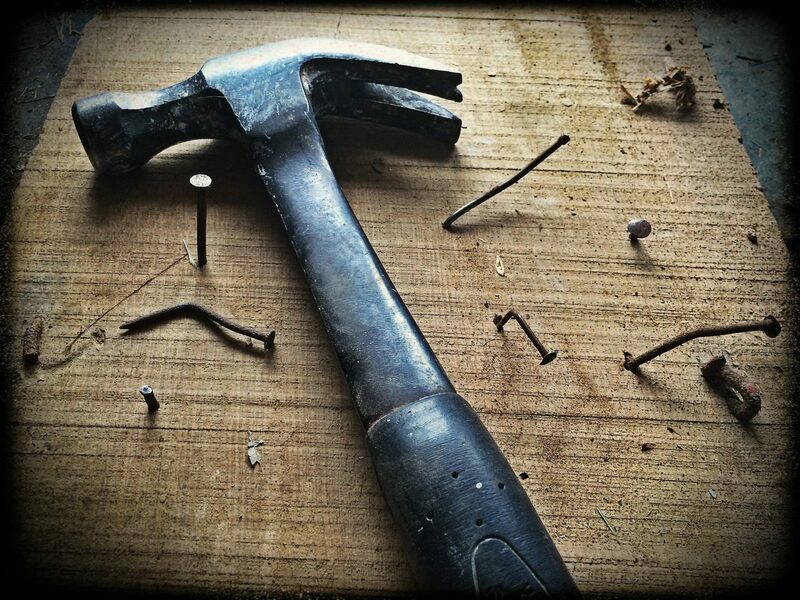 A self-proclaimed handymen or unlicensed and uninsured company can provide a lower price and substandard workmanship. Always look for differences in materials and job specifications when comparing quotes. Contact Us for a Professional Roofing Quote! Most people don’t spend too much time thinking about the condition of their roof. But, the old expression “an ounce of prevention is worth a pound of cure” certainly applies when it comes to roofing maintenance. The costs associated with routine maintenance of your roof doesn’t amount to much; the costs of ignoring routine maintenance, however, can be significant. In the long run, you will save money with regular maintenance done now! Trim back trees. To prevent damage to your shingles, trim back and remove overhanging tree branches or those getting close to your roof. Keep gutters clear. Leaves and other miscellaneous debris can clog your gutter system, allowing water to back up into the attic or living areas of your home. It’s a good idea to check your gutters at least twice per year. Inspect your gutters, too, for sagging or other signs of damage. Check downspouts. In addition to the gutters, make sure your downspouts are also free of congestion. If they are clogged, they can’t channel water away from your home. Remove excess debris. Even a small layer of debris accumulation could potentially lead to moisture build up or a roof collapse. If the debris piles up, carefully remove debris off the roof. Ensure proper ventilation. This is one of the most important elements in extending the life of your roof. Without proper ventilation, heat and moisture can accumulate in the attic, leading to roof rot and deteriorating insulation. Ensure adequate insulation. A properly insulated attic space will allow your roof to perform at peak efficiency. Look for storm damage. After a big storm, inspect the interior of your home for water stains. Check the outside for damaged shingles. Check for moss or algae. Have your roof cleaned if your roof is starting to collect moss or algae. Inspect flashings. Many roof leaks begin at flashing points, where the main body of the roof meets up with the home’s siding, chimneys or skylights. 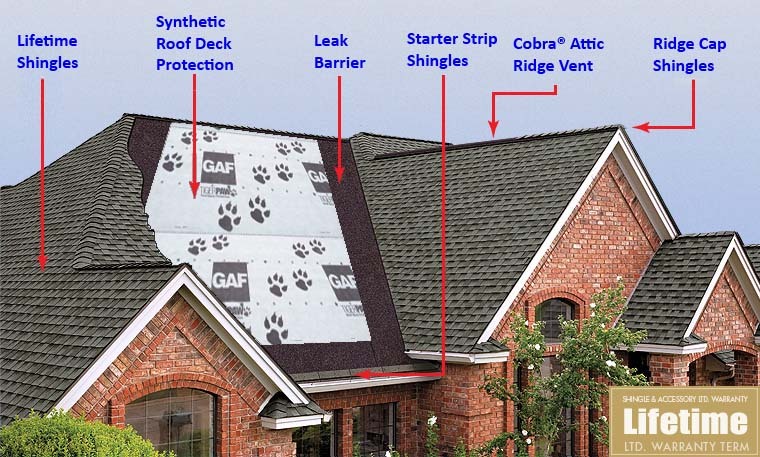 Check the flashings for holes, cracks, or other signs of damage or deterioration. Consult with an expert. An experienced roofer, like Urbach Roofing, can provide a no-obligation consultation to help you in maintaining and caring for your roof. 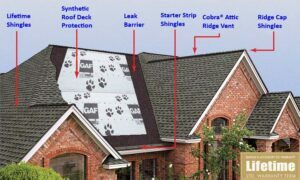 Take advantage of our skill and know-how to keep your roof performing its best. Call your experienced roofing contractor if you need help with roofing maintenance or need a quick inspection. 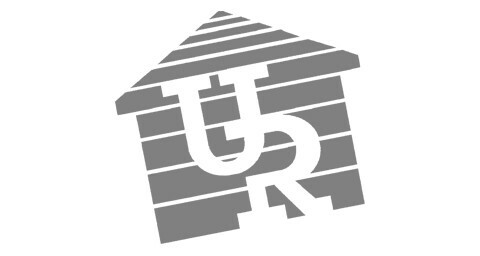 Urbach Roofing, Inc. has been serving customers, all year round, for more than 45 years! Our family-owned business is known for quality, integrity and professionalism. Call our office at (760) 471-5065 for your roofing estimate today! From new roof installations to roof leak repairs, we offer reliable, affordable and professional roofing services throughout San Diego County, and we look forward to serving you! 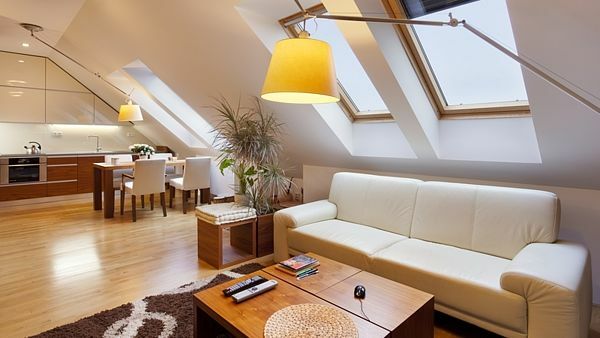 Many homeowners today are including skylights as part of an energy efficient build or makeover. Why? Because when properly placed, they can help lower heating and lighting costs by making efficient use of solar heat and natural light. They’re not only good for your utility bills, but for the environment as well. However, as with all good things, you need to maintain them properly. Here are a few tips to help you do that. Ensure the glass is thoroughly clean; start by soaking it in clean water and mild soap. Use a mild, non-abrasive glass cleaner and a soft brush (or pad) to remove any dirt and debris, and a squeegee or lint-free cloth to wipe clean. Avoid using metal scrapers, blades or knives as they can scratch or damage the glass. If your skylights have wood frames, do an annual inspection before spring for signs of peeling, cracking or fading. Also ensure all exterior fasteners are secure, and that cladding, and flashing are free of excessive wear or scratches. Immediately replace any that are damaged or broken. For venting skylights, make sure the mechanism that opens the sash is working problem-free by opening the skylights (turn off the power if it’s electric) and use a clean, dry towel to wipe off the chain. Consider installing blinds on your skylights if you already haven’t done so; they can help improve overall energy efficiency. Remote-controlled, solar-powered blinds allow you to easily open and close solar powered skylights, and shade them when the sun touches that part of the roof – improving the skylights’ energy performance rating by as much as 45%. Your roofing system is a significant investment that you don’t want to fail prematurely. Unfortunately, it’s a common problem when your roof is old or was handled by inexperienced installers. 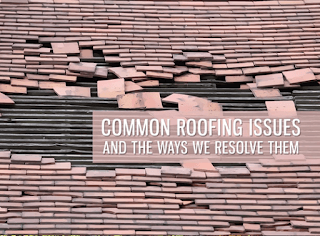 With over 45 years of experience, Urbach Roofing is well aware of the common problems that homeowners face. We focus on three common causes of premature roof failure and provide the ways we deal with them. Ensure the proper installation of your residential roofing in San Diego County by hiring a contractor who is certified or otherwise acknowledged by the manufacturer as an installer of the product you’ve chosen. Otherwise, you may experience issues and not have any way of getting them resolved except at your own expense. Proper installation starts with great care when putting everything in place; all seams should be sealed correctly. Urbach Roofing makes sure we get things right the first time. Each step of our installation process comes with comprehensive quality checks to avoid any hassle and we only install products we know and are trained on. Great roofs require both a conscientious installation and great materials. Urbach Roofing takes pride in our certifications from some of the best names in the roofing industry. We carry products from GAF, Owens Corning, CertainTeed, DaVinci, Boral, Eagle, Johns Manville and more. These are among the most durable, aesthetically pleasing, and long-lasting products today. Combined with our exceptional installation process, these products will free you from worrying about premature failure. With coastal humidity, sometimes moisture problems affect many homes in San Diego County. While Urbach Roofing certainly provides timely and effective roof repairs throughout the County, you can deal with this problem through proper ventilation and even reflective coating. With first-hand knowledge of the specific climate conditions in our area, Urbach Roofing will make sure your roof is free from unwanted moisture. Don’t fall victim to these avoidable problems. Let Urbach Roofing provide you with roofs from the best brands, and an installation you can depend on. Call us today at (760) 471-5065, and we’ll be more than happy to help you find the perfect solution to your roofing needs.